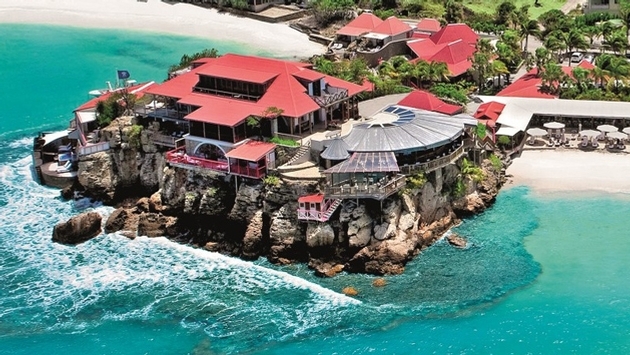 Oetker Collection, the European luxury hotel company that has been growing at a slow but steady pace in recent years, unveiled its eighth high-end property—the Eden Rock-St Barths in the French West Indies. Oetker will manage the core hotel business and assist in further developing the Eden Rock Villa Rental business. 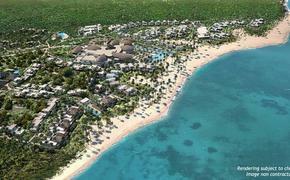 It also will help enhance Eden Rock’s property design and construction firm Propco. The move represents a return to St. Barths for Oetker, which in 2012 announced plans to manage Isle de France on St. Barths. It took over that property for roughly a year, but lost the management contract when the hotel was acquired by LVMH last year. Now Oetker is making a comeback of sorts with Eden Rock-St. Barths, a property that is considered on par with, if not above, Isle de France. Oetker worked with David Matthews, Eden Rock’s proprietor and executive chairman of Eden Rock Group, to cement the deal. Matthews and his family will continue to own the hotel, but Oetker is taking a small stake in the property. Eden Rock is a member of Relais & Chateaux and has its own Jean Georges restaurant, “On the Rocks,” so it matches Oetker’s focus on luxury accommodations and fine cuisine. Even its name recalls another Oetker hotel—Hotel du Cap-Eden-Roc on the French Riviera. First built 70 years ago, Eden Rock is located on a rocky promontory in St., Jean Bay, surrounded by white sandy beaches, blue sea and a coral reef full of sea life. The hotel offers 34 accommodations dotted along the beach or set within green gardens. Each guest room or suite is individually decorated by Jane Matthews, the co-owner. The property also includes Villa Nina and the 16,000-square-foot Villa Rockstar, which includes a recording studio featuring the Neve mixing console used by John Lennon to record his “Imagine” album. Oetker Collection’s eight luxury hotels now include L’Apogée Courchevel, a luxury ski resort in Courchevel in the French Alps; Brenners Park-Hotel & Spa, the first Oetker property located in Baden-Baden, Germany (which will soon add the Villa Stéphanie as an added spa experience); Le Bristol Paris on the Rue du Faubourg St-Honoré; Château Saint-Martin & Spa, a chateau overlooking the French Riviera; Fregate Island Private in the Seychelles; Hotel du Cap-Eden-Roc, located the tip of the Cap d’Antibes in France near Cannes; Palais Namaskar in Marrakech; and Eden Rock-St. Barths.